The holidays are creeping up on us. It’s the typical time where we say “I’ll wait until the New Year to get healthy and join the gym.” I’ve never been a fan of that outlook because I believe the best time to start working towards your best health is always right now. You’re never going to be less busy, less stressed and less tired. But there is one secret that I have shared over and over again when it comes to helping me find motivation to get started now, and that’s support. Throughout the holiday season, you should be able to enjoy those family dinners and a couple of cocktails at the company party without the guilt. But you also want to feel good, so throughout the rest of 2015, I’m encouraging our community to use the support of a Reboot Nutritionist and fellow Rebooters to sign up for one of our remaining 15-Day Guided Reboots. My team is even on board and each one of them is signing up for a Guided Reboot too. As a special addition to our holiday Reboots, I’ll be joining one of the webinars in each session for a surprise appearance. I’ve already joined two in the past week and have loved answering your questions and hearing from all of you. If committing to 15 days sounds like too much of a burden during this busy time, remember, it will be worth it once you feel the benefits — the energy, craving more fruits and vegetables and even weight loss when most of the world seems to be gaining it. And then can go to grandma’s house and enjoy a slice or two of pie without feeling weighed down from all of the other unhealthy food you’ve been eating during the season. A Guided Reboot coach to help you every step of the way is one of the best ways you can start and finish a Reboot successfully, and be set up to maintain your health throughout all of 2016. 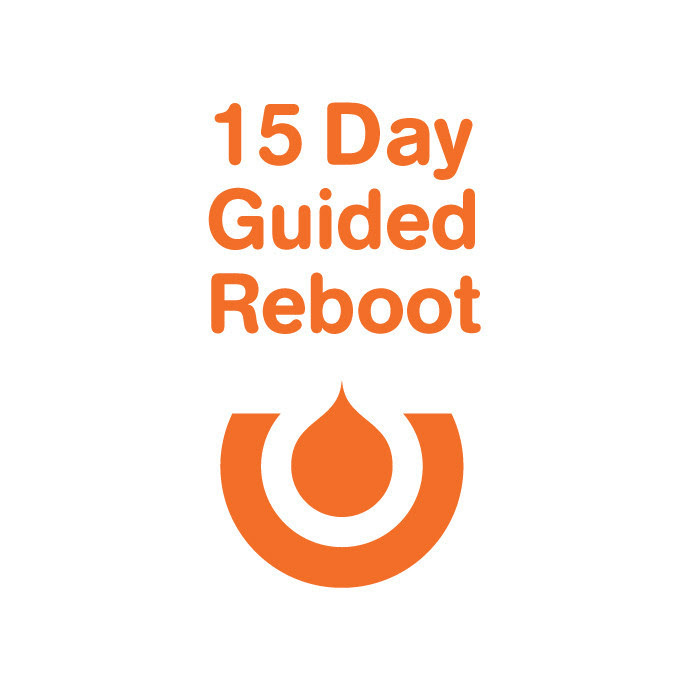 Here are the dates for our upcoming 15-Day Guided Reboots. There’s no better time than today to get started. Make “diet starts tomorrow” a thing of the past. Want to learn mor e about a Guided Reboot? We have the info.